Quick summary: Paul Kelly – Stories of Me is a contemporary music documentary that allows students to explore popular culture, storytelling and how people are represented in texts. The film highlights different aspects of the Australian experience and showcases how art reflects and celebrates life. During this lesson, students will be immersed in and form a deep connection to its content by watching the entire film. It’s highly recommended that students watch the film as it was intended to be viewed by the director – from start to finish, without stopping. Students will personally engage with the film from a critical, aesthetic, emotional, cultural and creative perspective. Teachers are required to create an account to view the film and use the supplied code to enable students to access the film. Plan subsequent lessons using the Paul Kelly – Stories of Me online unit resources. The documentary film genre is a style of informative text. A film can be entertaining, uplifting, challenging and inspiring. General capabilities: Literacy, Critical and Creative Thinking, ICT Capability. Resources required: Student Worksheet – one copy per student OR computers/tablets to access the online worksheet. Device capable of presenting a website to the class. Copy of Paul Kelly – Stories of Me (teachers are required to create an account to view and invite students to view the film). Keywords: representation, artist, text, documentary, filmmaker, director, Paul Kelly. Acknowledgement: This resource has been adapted from ‘Paul Kelly: Portrait of an Artist’ written by Eva Gold, Mel Dixon, Ann Small, Bradley Merrick, with Appendix from Victorian teachers by Monika Wagner. Overarching learning goal: Students will appreciate the film Paul Kelly -Stories of Me as a text that can entertain and inform. 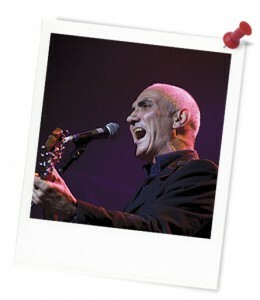 Thought Starter: Who is Paul Kelly? 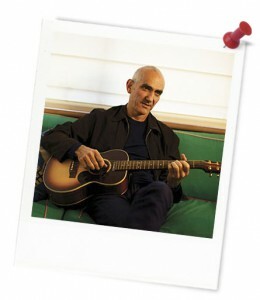 Paul Kelly - Stories of Me: Did you love it, like it, dislike it, hate it?